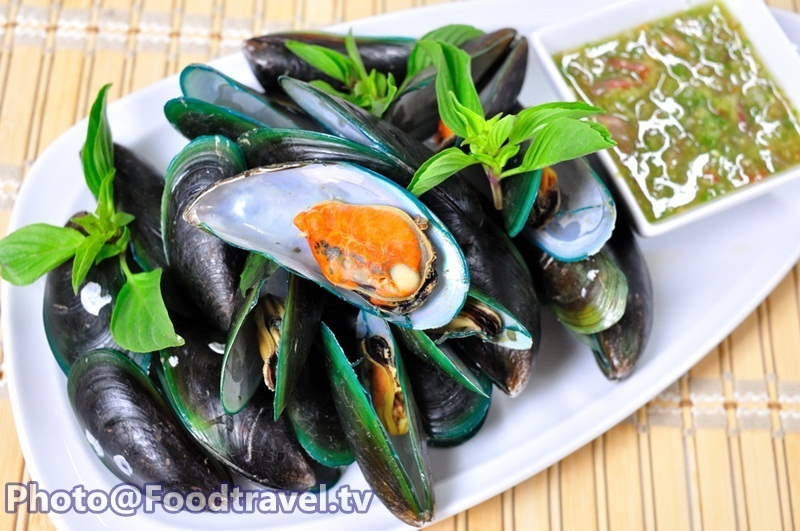 Baked Mussels with Basil (Hoi Ma Lang Pu Aob Sauce Bai Horapa) - A simple menu that delicious and easy to make. 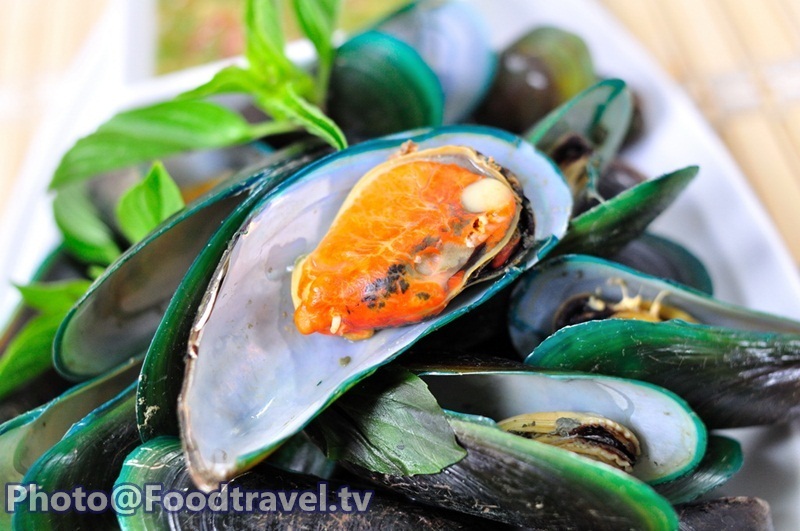 Baked fresh mussels with various Thai spices and Basil leaves. Eat with seafood sauce for more delicious. 1. Bring the hair of mussels out. Then wash thoroughly 4-5 times. 2. Cut oblique lemongrass. And cut hard stem out. 3. Put mussels into the pot. Follow with basil, lemon grass, water, and use high heat bake for 10 minutes. 4. Pound chilli, garlic, coriander root finely. Bring the water into the microwave until boiling about 2 minutes. 5. Pour boiling water into the mortar with finish pounded ingredients. 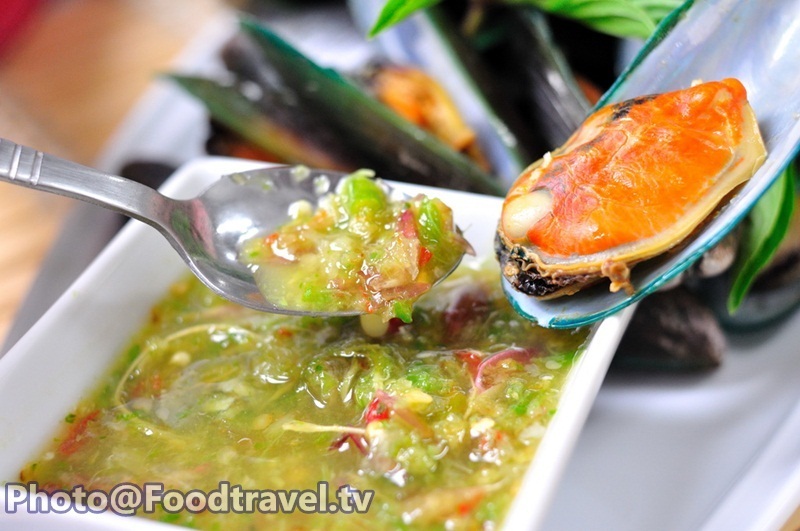 Followed with sugar, fish sauce, lime and stir well to combine. 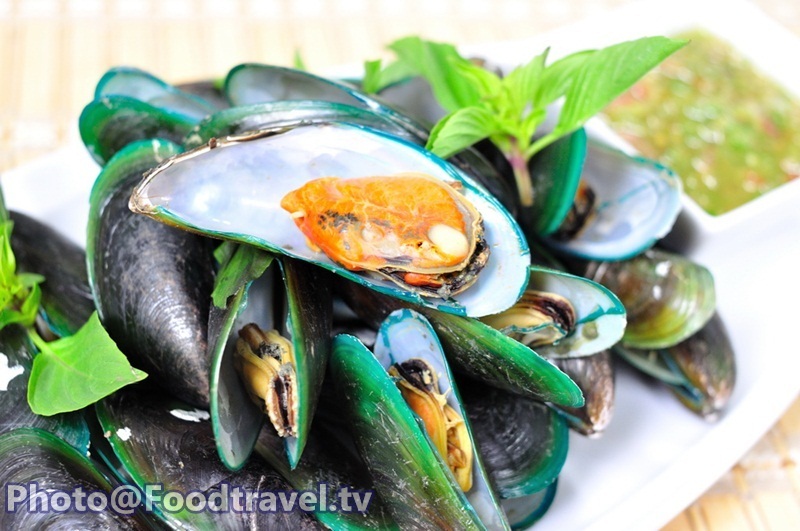 Serve with the mussels. Done.